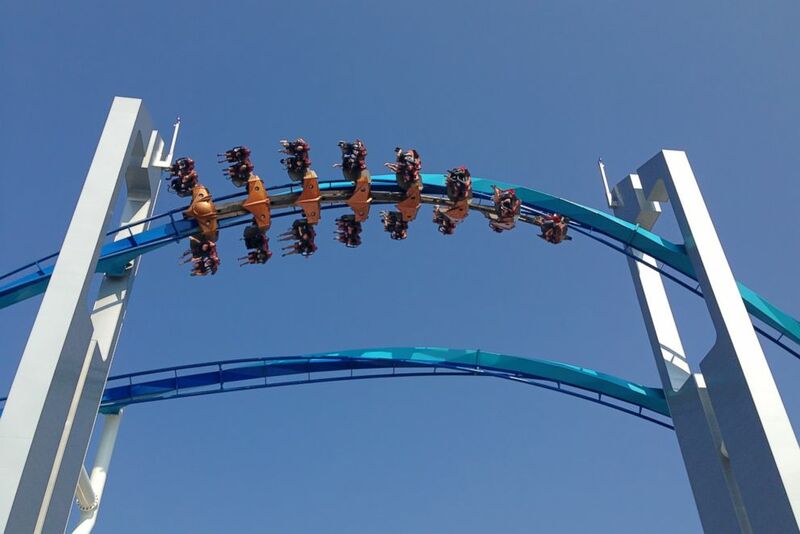 Amusement park-goers enjoying their Memorial Day at Cedar Point in Ohio had to be escorted off rides after a section of the park lost power, a spokesperson confirmed to ABC News. The park experienced an “interruption in its power supply” around 1:45 p.m. ET, the spokesperson said. The outage was caused when a car struck a power pole, according to the spokesperson. File photo of a ride at Cedar Point in Sandusky, Ohio. All rides that were affected by the outage safely came to a stop, the spokesperson added. Ohio Edison said it was addressing the issue and would restore power as quickly as possible. We’re currently experiencing a power outage in a portion of the park. Ohio Edison is currently addressing this and will restore power as quickly as possible. Thanks for your patience! People at the park tweeted that they were stuck on various rides.